HERE ARE SOME TYPICAL PHRASAL VERBS THAT YOU CAN FIND IN NEWS ARTICLES. MORE NEXT MONTH. TO STOP PARTICIPATING IN TALKS / NEGOTIATIONS. Great news! 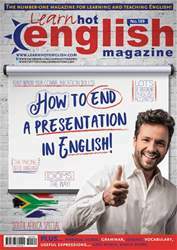 The latest issue of Hot English (189) is out now! Learn over 1,000 useful words and expressions and improve your listening skills with Learn Hot English! This month: How to end a presentation. Find out how to end a speech effectively, and read our top tips on how to really make an impression with your ending! Plus, 12 useful words and expressions for talking about vegetables, 10 useful expressions for the phone, 6 useful expressions for talking about problems, idioms, phrasal verbs... plus: • The internet – funny YouTube videos. • Education – how to learn on your own. • Grammar – modal verbs. • Art – abstract art. 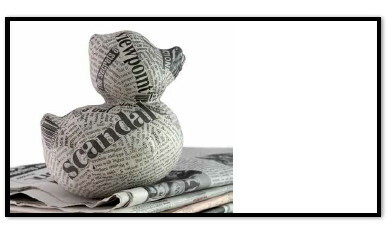 • Publicity – classified ads. • Celebrities – Matt Damon & Morgan Freeman. • History – South Africa & Nelson Mandela. • Travel – South Africa. • Fashion – street style. • Hollywood – Clint Eastwood. • Technology – technophobia. • Learning English – how to listen to English. • Food – French toast. • Accents – the southern US accent. • Work – office crime. • Culture – pubs. • Language – similes. AND LOTS, LOTS MORE! By reading and listening to all this great content, you'll improve your English reading and listening skills and learn up to 1,000 useful words or expressions. Plus, you'll get a better job and pass English-language exams more easily. Guaranteed! How to learn on your own! 9 WAYS TO END A PRESENTATION... WITH A BANG!